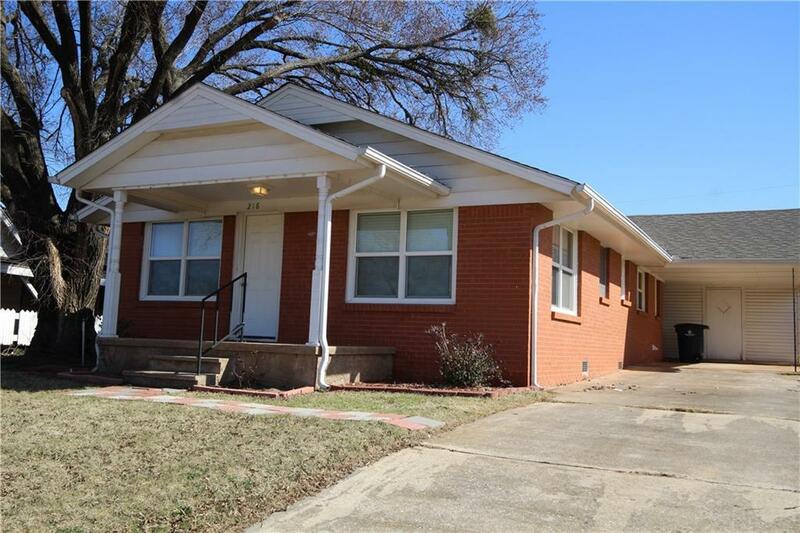 218 N Madison Street, Blanchard, OK.| MLS# 852405 | Oklahoma City Real Estate | Apple Realty, Inc. This home was totally remodeled in 2014 including Central HVAC, Flooring, Insulation, Bathrooms, Kitchen, Light Fixtures & Fans, Windows, Stainless Steel Appliances, Counter Tops, Paint, Pantry & added Utility Room. Master Bed has a walk-in closet, full Bath with large walk-in shower;2nd Bedroom has a Full Bath with Tub/Shower Combo; 2" Blinds thru-out; Nice Storage in the Carport; Great Front Porch; Wood Storage Building with Composition Roof is in the back yard & is 18'x 12.5' (could be made into a Guest House). Electrical was "Up to Code" in 2014. Seller is installing new carpet thru-out. This won't last long! Reserving all Gas & Minerals!